SS Robin is a 350 gross registered ton steam coaster, a class of steamship designed for carrying bulk and general cargoes in coastal waters, and the oldest complete example in the world. One of a pair of coasters built in Bow Creek, London in 1890, the ship was built for British owners, but spent most of her long working life on the Spanish coast as Maria. In 1974 she was purchased for restoration as Robin and is listed by National Historic Ships as part of the National Historic Fleet (the nautical equivalent of a Grade 1 Listed Building). 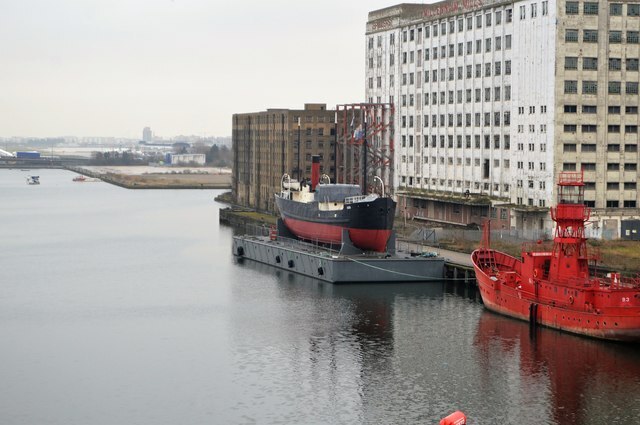 She is situated in the Royal Victoria Dock, opening as the SS Robin museum, theatre and educational centre in 2014.